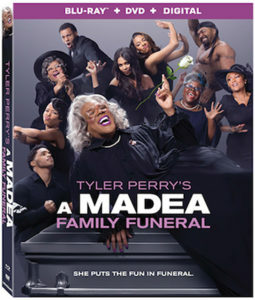 Lionsgate will release A Madea Family Funeral digitally May 21 and on Blu-ray and DVD June 4. Written, directed by and starring Tyler Perry, the film is touted as the final big-screen appearance of Perry’s Madea character, whose film debut was 2005’s Diary of a Mad Black Woman. 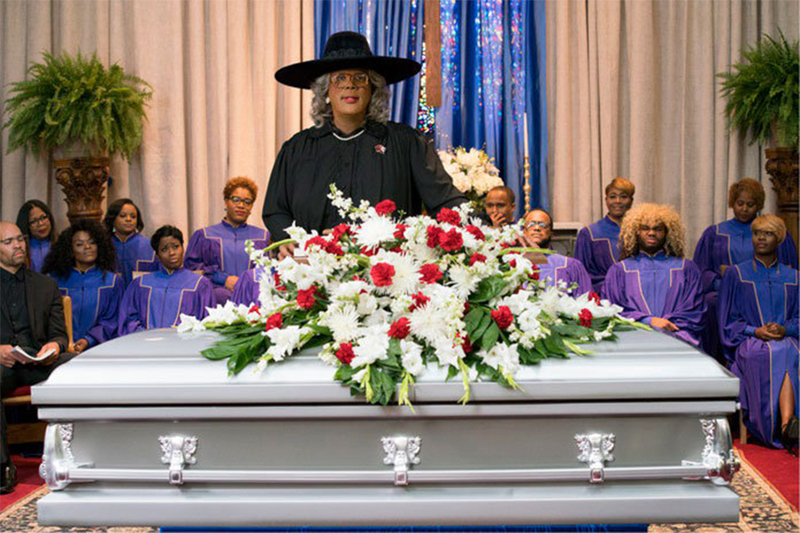 A Madea Family Funeral, the ninth film starring the character, features Madea and her family heading out to a family reunion, only for the trip to suddenly turn into a funeral threatening to reveal family secrets. The film earned $72 million at the domestic box office. The cast also includes Patrice Lovely and Cassi Davis. The Freddie Mercury biopic Bohemian Rhapsody rocked the Redbox charts the week ended Feb. 17. 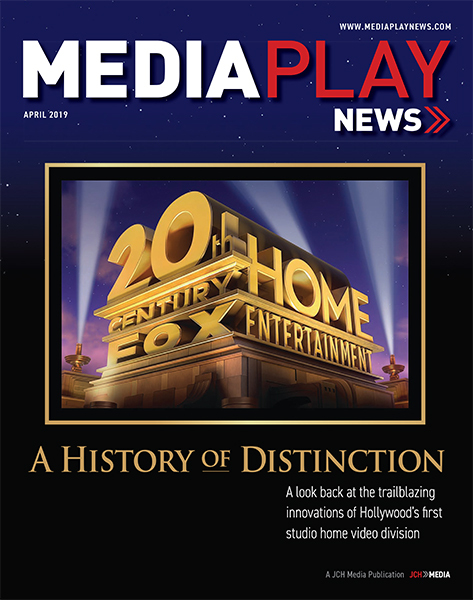 The 20th Century Fox film debuted at No. 1 on both the Redbox kiosk chart, which tracks DVD and Blu-ray Disc rentals at the company’s more than 40,000 red vending machines, and the Redbox On Demand chart, which tracks transactional video-on-demand (TVOD), both electronic sellthrough (EST) and streaming. 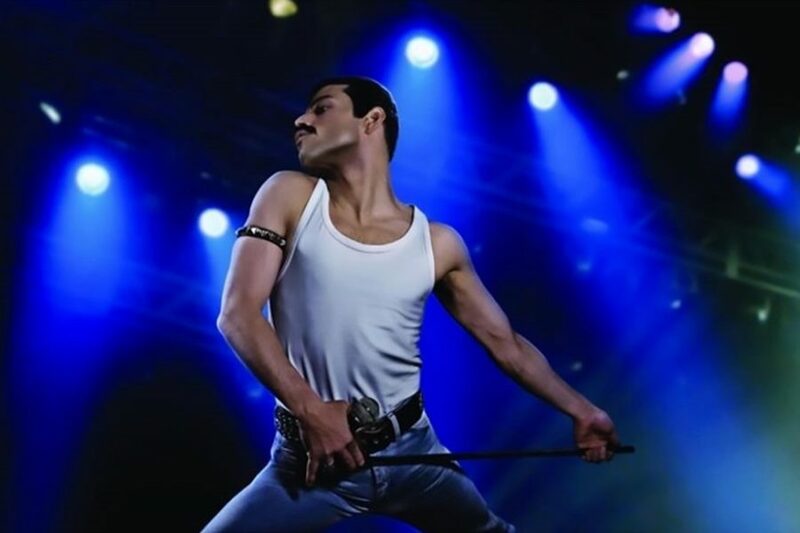 The critically acclaimed story of the lead singer of the rock band Queen received five Oscar nominations, including Best Actor for Rami Malek in the role of Mercury, and earned more than $212.2 million in theaters. The Grinch, the latest take on the classic children’s Christmas story from Universal Pictures, fell to No. 2 on the disc chart its second week in physical release. It landed at No. 4 (falling from No. 1) on the digital chart. 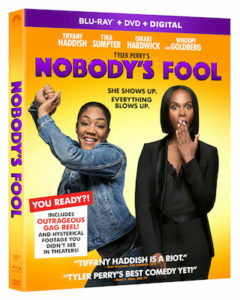 The only other new release on the disc chart for the week, Paramount’s Tyler Perry comedy Nobody’s Fool, debuted at No. 3. It came in at No. 2 on Redbox’s digital chart. The film, starring Tiffany Haddish, Tika Sumpter and Whoopi Goldberg, earned $31.7 million in theaters. Fox’s heist-thriller Widows, starring Viola Davis, Michelle Rodriguez, Elizabeth Debicki and Cynthia Erivo, slipped to No. 4 on the disc chart and to No. 3 on the Redbox On Demand chart. The film, which took in $42.4 million at the box office, gathered plaudits for Davis and Debicki, but it was snubbed in the Oscar race. Sony Pictures’ action-thriller The Girl in the Spider’s Web, starring Claire Foy, took the fifth spot on both Redbox’s disc and digital charts after landing at No. 3 on both charts the week before. A sequel to the The Girl with the Dragon Tattoo, the film earned $14.8 million theatrically. Meanwhile, more than a year after its digital release, Universal’s Happy Death Day made an appearance on the Redbox On Demand chart at No. 8 as its sequel, Happy Death Day 2U, came out in theaters Feb. 13. Also popping back up on the digital chart at No. 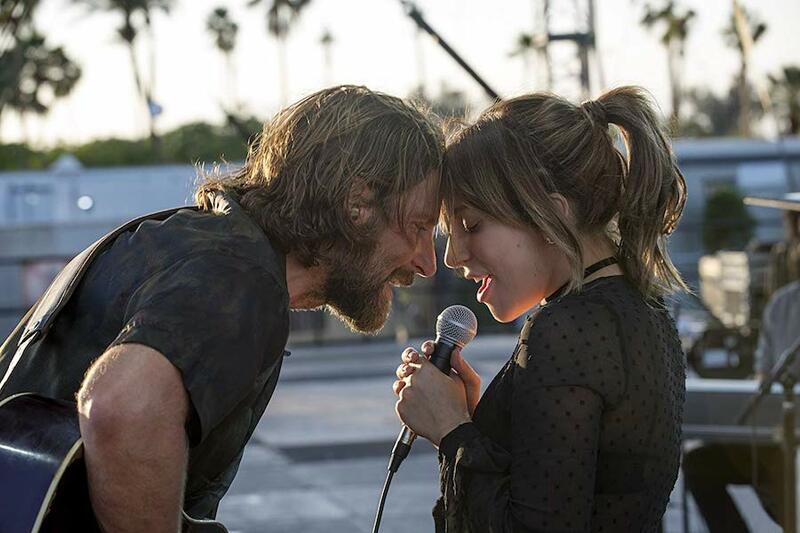 10 about a month after its release was Warner’s A Star Is Born, which has received eight Oscar noms. The 91st Academy Awards takes place Feb. 24. Paramount Home Media Distribution will release writer-director Tyler Perry’s Nobody’s Fool digitally Jan. 29, and on Blu-ray and DVD Feb. 12. The comedy stars Tiffany Haddish as the wild Tanya, looking to get her life together with the help of her straight-laced sister Danica (Tika Sumpter). As these polar opposites collide, Tanya discovers that Danica’s picture-perfect life — including her online romance — may not be what it seems. With the aid of her eccentric mother (Whoopi Goldberg), Tanya will do whatever it takes to help. The Blu-ray combo pack includes a digital copy and several extras, including an introduction by Perry and Haddish; deleted, extended and alternate scenes; a gag reel; and nine featurettes. Lionsgate will release director Tyler Perry’s Acrimony on digital June 12, and on Blu-ray and DVD June 26. The thriller, which earned $42.2 million at the domestic box office, stars Taraji P. Henson as a woman who takes revenge on her unfaithful husband. The home entertainment release includes an “Unleashing Acrimony” featurette. Rated ‘PG’ for some thematic elements. Voices of Steven Yeun, Gina Rodriguez, Zachary Levi, Keegan-Michael Key, Kelly Clarkson, Patricia Heaton, Kristin Chenoweth, Tracy Morgan, Tyler Perry, Oprah Winfrey, Aidy Bryant, Anthony Anderson, Kris Kristofferson, Christopher Plummer, Ving Rhames, Gabriel Iglesias, Mariah Carey, Phil Morris, Roger Craig Smith. 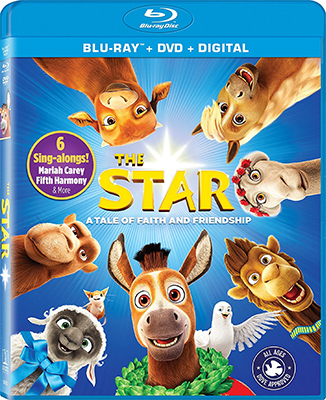 This fluffy faith-based animated adventure frames the tale of the Nativity from the point of view of a group of animals whose lives intersect with the coming of the Messiah. The Star follows a little donkey (Steven Yeun of “The Walking Dead”) with big dreams who befriends the pregnant Mary (Gina Rodriguez of “Jane the Virgin,” playing another woman pregnant by unusual means here) before she leaves for Bethlehem, then sets off with his animal friends to protect her after learning King Herod (Christopher Plummer) has sent hunters after her in his attempt to prevent the birth of the King of the Jews. The camels (Tracy Morgan, Tyler Perry, Oprah Winfrey) of the Three Wise Men also seek out the impending birth of Jesus to protect him. Lest anyone worry about the film straying too far from scripture with its talking animals, one of its best running gags involves the fact that the animals can communicate freely with each other, but just sound like animals to the humans around them. It’s a testament to the earnestness of The Star, and a sign of how it expects its audience to approach the film, that an early scene involves Mary returning home to her husband, Joseph, after being away for an extended period of time. Visibly pregnant, she explains it’s the Son of God and that it’s his duty to help her bring the child into the world, and he embraces the calling. Were this not a faith-based movie aimed at children, I suspect most men being told that story by their wife might have a different reaction. The film’s screenplay was originally intended for a live-action production of the Jim Henson Company, which reportedly would have employed a style similar to Babe, using visual effects to make the animals appear to talk. When that didn’t pan out, the project was revived at Sony Pictures Animation by DeVon Franklin, a prominent Christian preacher and motivational speaker who has produced a number of notable faith-based films, such as Heaven Is for Real. The end result is a cute adventure that, despite some broad Looney Tunes-type humor, remains grounded in its piety. While not a musical, the film relies heavily on a soundtrack consisting of modern renderings of some classic Christmas songs. The songs are the subject of a good portion of the Blu-ray’s bonus materials, which include several “lyric videos,” two sing-alongs and a dance-along video. The Blu-ray also offers some typical behind-the-scenes featurettes, such as the 13-minute “An All Star Cast” and the two-minute “Creating the World of 9 Months B.C.” There’s also a commentary with executive producer Franklin and director Tim Reckart. But the Blu-ray also has ambitions to serve as a faith-based teaching tool, and to that end it includes the 10-minute “Faith All Year Round With DeVon Franklin,” in which the producer discusses the film’s message with a group of children. For those who prefer something more interactive, there are three arts-and-crafts videos. Finally, the Blu-ray offers a bit of background art for special occasions in the form of an animated Nativity scene that runs on a 21-hour loop. 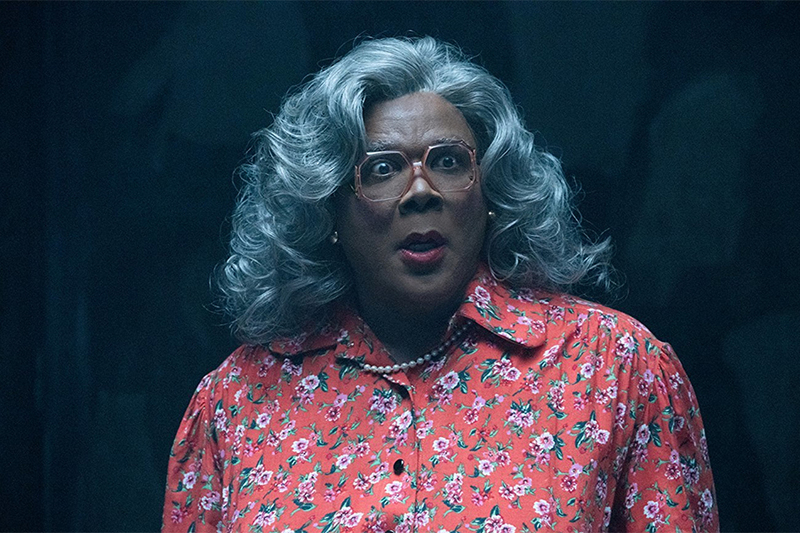 Tyler Perry’s spooky comedy Boo 2! A Madea Halloween, distributed on home video by Lionsgate, debuted at No. 1 on the NPD VideoScan First Alert sales chart, which tracks combined DVD and Blu-ray Disc unit sales, the week ended Feb. 3. Boo 2 earned $47.3 million at the domestic box office. The top seller on the dedicated Blu-ray Disc chart, for the third week in a row, was Warner’s Blade Runner 2049, which topped the high-def market despite dropping to third overall after two weeks in the top spot. That’s because 60% of all Blade Runner 2049 sales were of the Blu-ray format, compared with 24% for Boo 2. As a result, Boo 2 came in at No. 2 on the Blu-ray chart. Coming in at No. 2 overall and No. 3 on the Blu-ray chart was another Warner title, the horror film It. Warner’s Geostorm dropped to No. 4 on both sales charts, followed by Lionsgate’s Jigsaw at No. 5. On Media Play News‘ rental chart for the week ended Feb. 4, Geostorm came off its week-long holdback at Redbox kiosks to move into the top spot. Blade Runner 2049, the top rental the week before, slipped to No. 2, while Boo 2 debuted at No. 3. Rounding out the top five were It and Jigsaw.